I'm not sure that these were actually issued? I recall reading somewhere that several were taken to the U.S. bases in Germany for testing(?) or for private sales to pilots? Can anyone remember the true story? This watch is #1 on my all time wishlist. I even would sell / trade one of my cars for this watch. BP built great watches at that time. But now they've lost control over themselves, I think. I went into a Blancpain AD shop in The Hague (overhere in Holland) where young, fashionably dressed men with white gloves hand you a BP like it's the one of the Crown Jewels. That's not what I want!! One of the most beautiful chronos ever made... I wish too Menno. According to Achim, there were 50 pieces issued to a USAF Helicopter squad in Germany. 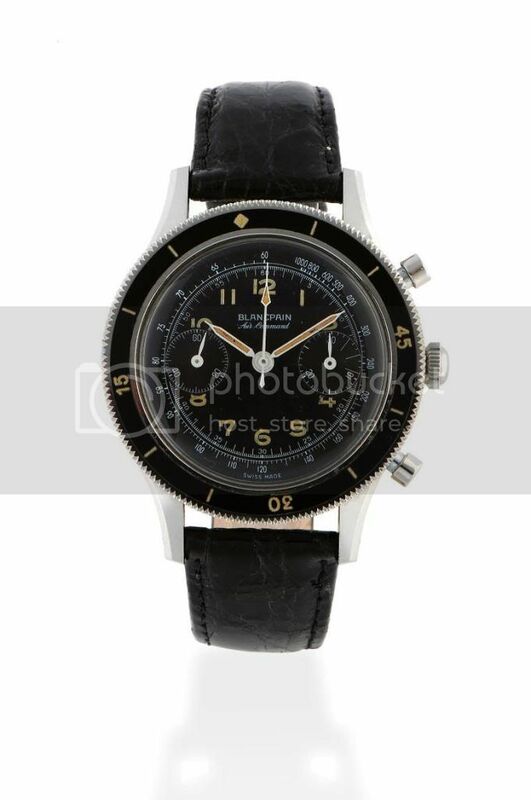 No markings and no definite confirmation/records from Blancpain. They're meant to be, but nothing has been forthcoming from Corvus in quite a while WRT to the AC homage. I love these watches and didn't realise (as I'm catching up on Feb threads) that there was a separate chrono thread. Now I have to go back and re-evaluate!